Guess what? I made an art book! 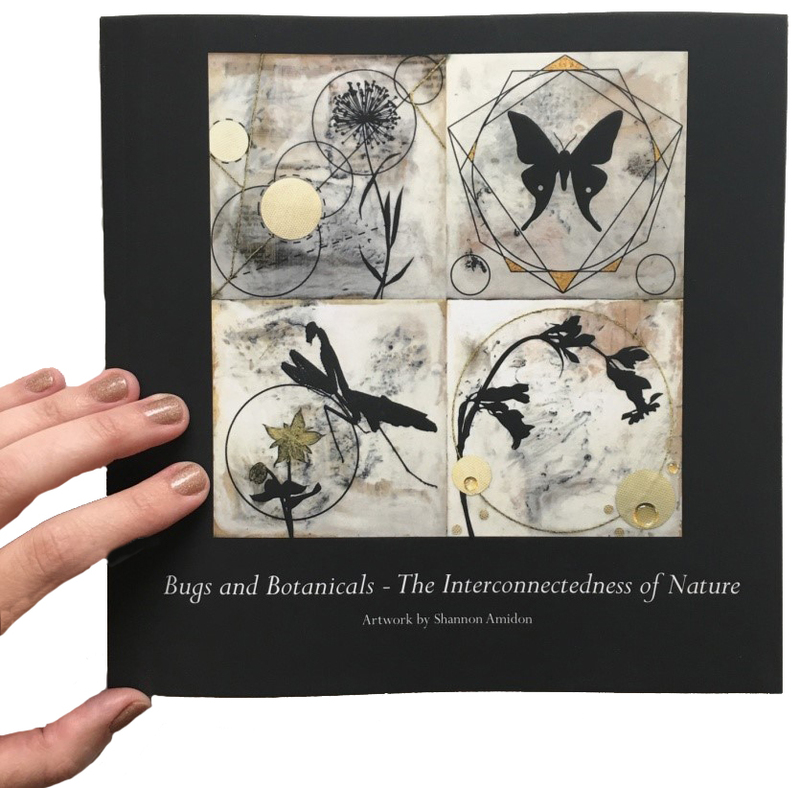 I am so excited to share this big news with you – I published my very first art book! You know how much I love books; they are an essential part of my art making and creativity. I’ve wanted to make one for long time and trusted that someday it would happen when the time was right. Well, today is the day and I am so proud of this book. I just started on the Sanchez Art Center 50/50 project. 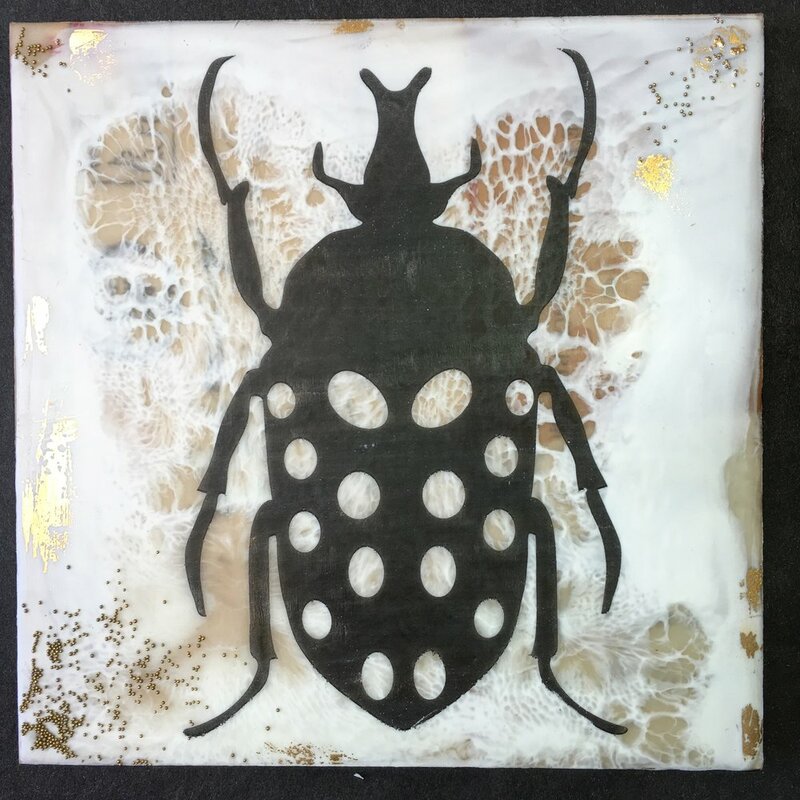 Selected artists come up with a theme (mine is Bugs and botanicals, exploring natural history through encaustic) and create 50, 6x6 pieces of art in 50 days. It is quite a challenge that I am excited to take on. You can follow my progress on Instagram. Each day I will be posting a new image, with the exception of when I am in Quebec in July for my artist residency. All pieces are available for presale but must be exhibited for the August 26th during the fundraiser and preview. Each piece will be $120 and there will be a 10% discount for purchasing 2 or more (presale or at opening). When I received the panels it was quite daunting, I guess with all of the excitement of being chosen to participate I didn’t realize the enormity of creating 50 pieces of art. I’m sure it will be good for my creative practice and there will be good days and bad. I hope you follow along with me on this journey.